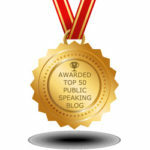 Home | Speaking/Presenting | The EXPRESS Elevator Speech Can. 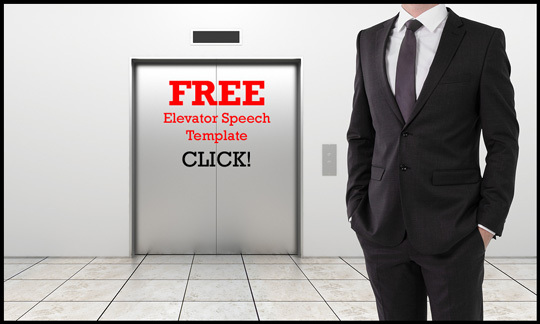 . .
FREE EXPRESS Elevator Speech Template HERE! 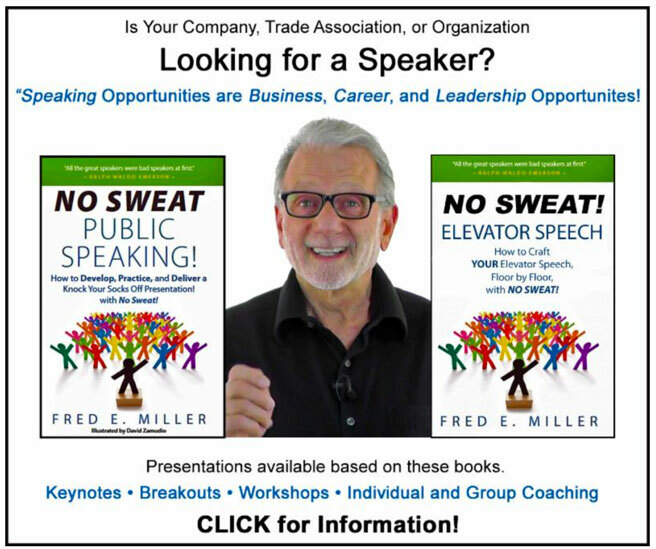 Fred Miller, NO SWEAT Public Speaking! The goals are the same as giving an Elevator Speech to a group with one major exception: You want to, as quickly as possible, DIS-qualify people. Everyone’s not a prospect for what you offer. You’re not going to buy everything people are offering you. Don’t spend major time on minor possibilities. The bottom line of the Elevator Speech is that it clearly articulates, in a very concise manner, exactly what you do, with impact! 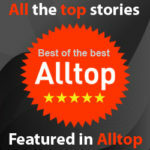 It’s time for that Elevator Speech! 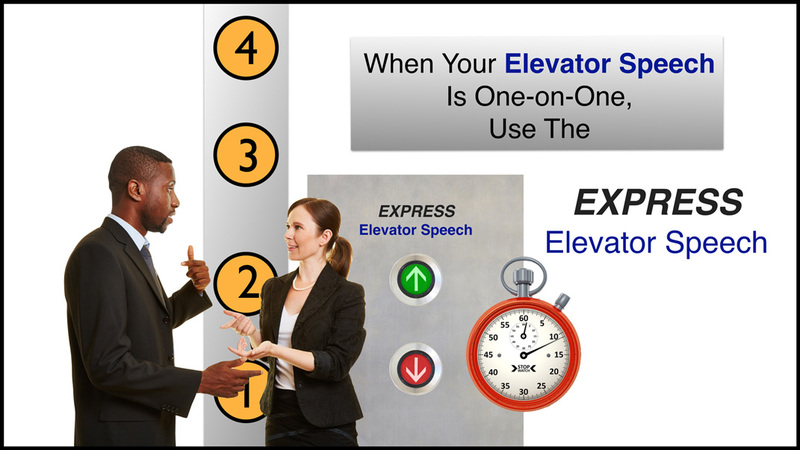 And, because time is of the essence, give an EXPRESS Elevator Speech! Let’s go up the elevator! After they’ve asked, “What do you do?” rather than answering that question directly, answer with a question that gets them thinking about what you offer. I’m going to use myself as an example in this video. I would say, “Thanks for asking! Instead of giving you a direct answer, I’m going to ask you a question. P-A-U-S-E so they have an opportunity to think about that statement. Where you tell them why they hire you. No selling now. If that’s going to occur, it’s later. 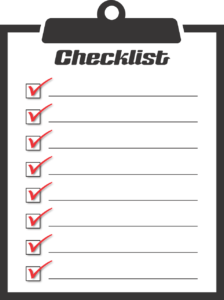 Exchange contact information and an agreement to get on each others’ calendars. There might be silence. That’s okay. I’m then going asked them a question. Not what they do, but a prospecting question. 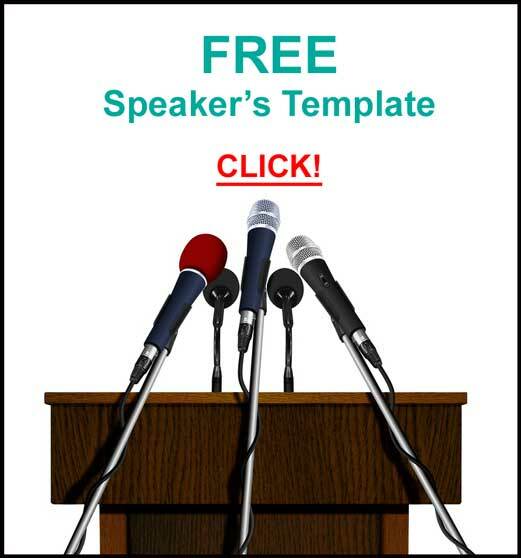 Get your EXPRESS Elevator Speech template from me. 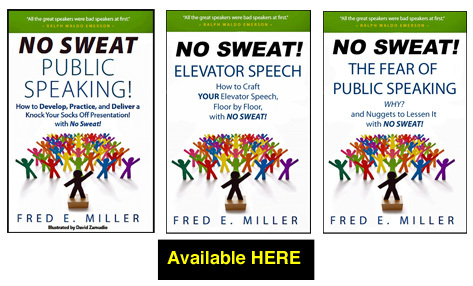 Use that EXPRESS Elevator Speech template and I guarantee your next one will be absolutely, positively – NO SWEAT! Is there a reason for that? 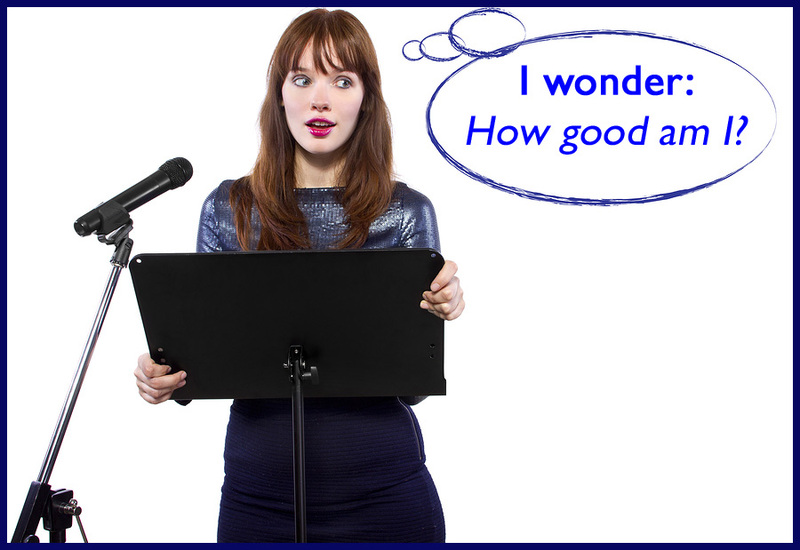 Is that better in some way than, ‘Do you know anyone who want to improve public speaking and presentation skills?” If so, can you explain why? Asking it the way I suggest is called a ‘pattern interrupt.’ It’s not the normal way to ask and gets them thinking about someone, perhaps themselves, who could use your product or service.